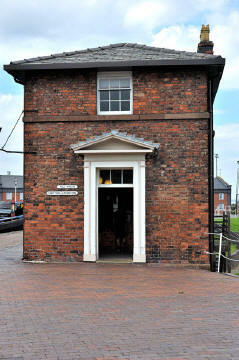 The National Waterways Museum, Ellesmere Port covers over 7 acres of the historic canal port. 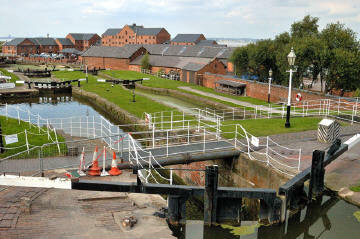 It was designed by Thomas Telford under the direction of William Jessop, and was a working canal port until the 1950s. 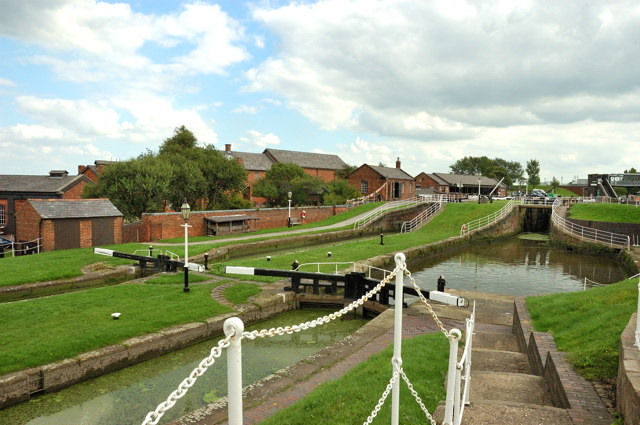 The layout of locks, docks and warehouses as well as the pump and engine room which provided the power for boats and cranes, blacksmiths forge and stables recreate what life was like at the turn of the century. 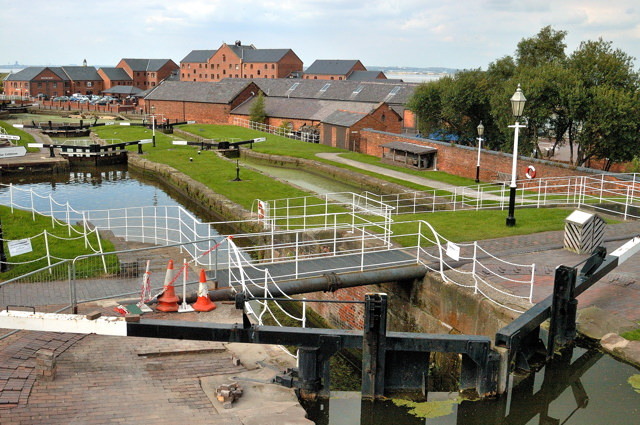 In 1792 several Shropshire businessmen planned to construct a canal which would connect the rivers Severn, Mersey and Dee and in 1793 parliament granted permission to begin its construction. 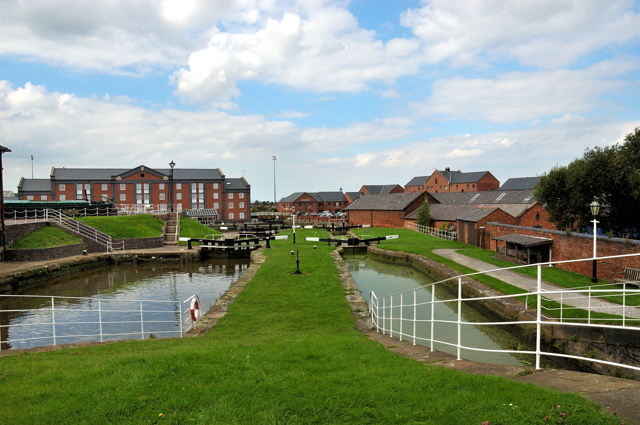 The Canal basin where the Ellesmere Port to Chester Canal connected via Whitby Locks became known as Ellesmere Port. 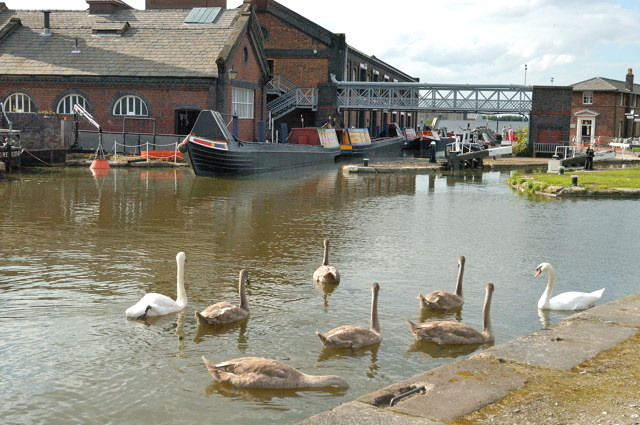 The Ellesmere Canal was later renamed the Shropshire Union Canal. Following the opening of the Manchester Ship Canal in 1894 it became a major port for both people and goods and the town of Ellesmere grew to accommodate this. Today the Boat Museum occupies a large area of the former canal port. On arrival from the car park you enter the information/visitor centre which has large glass windows overlooking the majority of the site, immediately outside is a canal. Once through the visitor centre and outside you can see the scale of what there is to look at, with buildings, waterways, and canal boats. On site you can explore the former canal port and experience life aboard a collection of canal and river boats, as well as discover the stories of the people who worked on the canals and rivers. Buildings on site recreate this history as well as some now housing galleries and displays of canal life and port activity. Toll House dating back to 1805 was the centre of the docks operations. It also houses the orientation room giving details of the site and helping you to plan your visit. Island Warehouse was built in 1871 to store grain. Today you cross a floating pontoon bridge to enter an exhibition looking at How to build a boat. Here you can explore the history and development of boat building using touch screen computers and other interactive displays. On the upper floors, you can find out about the social history of canals what life was like as a canal, boat or dock worker. There is also an area looking at the history of the Manchester Ship Canal, which is still used for industry and leisure. 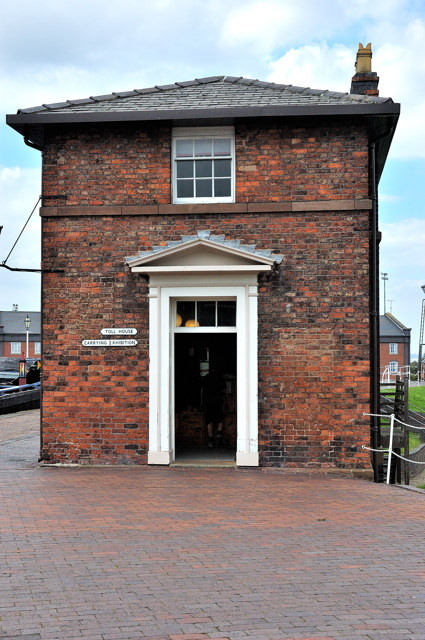 Pump House - houses the steam driven pump engines which supplies power to the hydraulic cranes and capstans around the dock. Power Hall houses the engines that supply the power for a variety of boats and other related canal activities. Blacksmith's Forge - originally used as the company's ironworks. Today its used by the resident blacksmith. Stables - where the horses and pigs would have been kept. 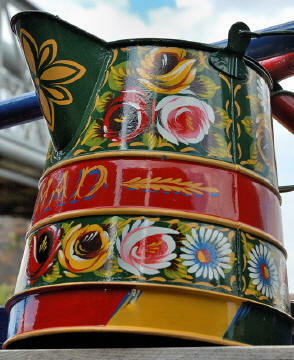 Find out how horses were used to pull the narrow boats and barges before steam power was invented. And step back in time into Porters Row, the dock workers’ cottages and see how people lived from the 1840s to the 1950s. This is a row of four original dock worker cottages built originally in 1833 each one set up in a different time frame in history to recreate what living as a dock worker would have been like. The largest collection of floating canal boats, where you can enter the cabins and discover how people lived, worked and raised families in this small space. 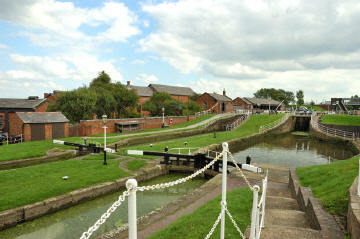 Canal crafts are also demonstrated and include fender making, leather working, painting and rope making. To capture the essence of the canal and port history allow at least 3-4 hours for your visit. That way you can explore the site and through the displays and exhibitions understand what it must have been like living and working on the canals in this point in history as well of course take pictures of the impressive buildings and colourful canal boats. Of course being a waterway you may also get to see waterfowl enjoying the sunny day a moorhen or coot or like when we visited there was a family of Swans with a number of cygnets! 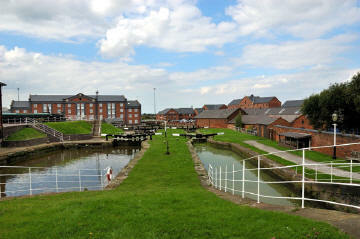 A view from the entrance building across the canal to some of the buildings you can visit. 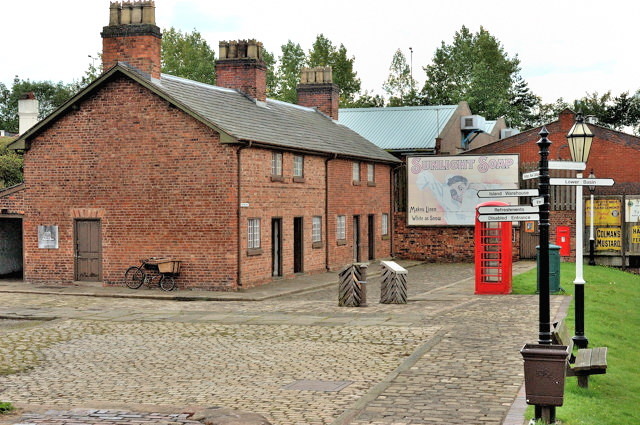 Located just off junction 9 of the M53, follow the brown tourist signs to The Boat Museum. Due to the nature of the historic dock complex, parts of the pathways around the site are cobbled and uneven. Ffree car parking at the museum including coach drop off point immediately outside the front entrance and designated disabled parking bays. 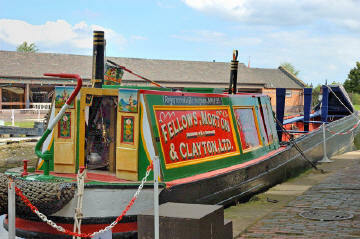 Season tickets also available giving access to all three National Waterways Museums for a 12 month period. * Family groups are calculated as £4.40 per adult (any number) and children at £3.60. Dogs Allowed: Allowed on site although Guide dogs only can go into cafe and museum galleries.